The Boathouse overlooks the Suttle Lake and will have a window to order food and drinks for those enjoying the beer garden outside. 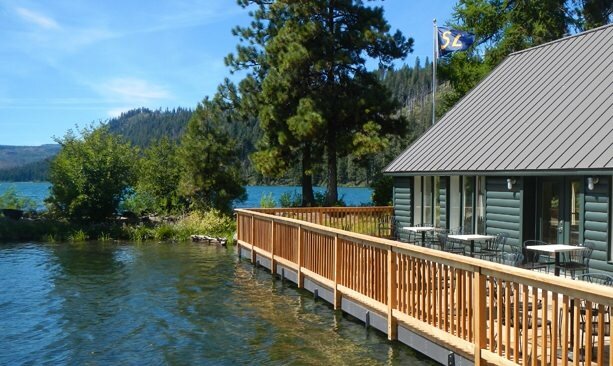 After a 10-month closure, The Suttle Lodge & Boathouse at Suttle Lake — a rustic vacationers’ paradise about 13 miles west of Sisters in Central Oregon — reopens with a new look and feel. 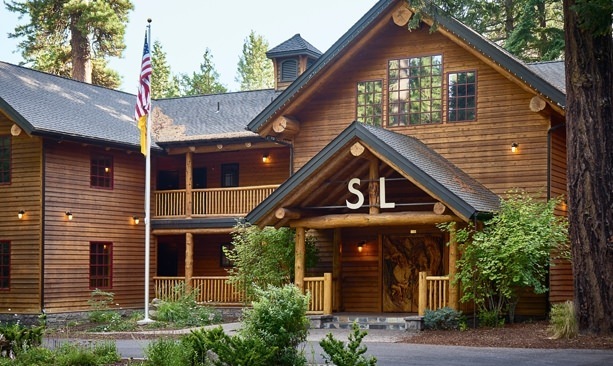 The 15.5-acre property in the Deschutes National Forest has operated as a timber lodge since the 1930s, with new versions built and modernized throughout the decades in piecemeal fashion. Now it’s all come together for an updated but still uniquely rustic, log cabin vacation vibe. Designed by The Mighty Union, the hospitality project behind Portland’s pioneering boutique Ace Hotel, the lodge includes soft canvas chairs around the fireplace, Pendleton blankets on the beds, a record player in the lobby and local beer and coffee — by Bend-based Good Life Brewery and Backporch Coffee Roasters — help set the mood and sense of place. Visitors can come to camp or spend the day enjoying the lake, soon with the convenience of an on-site rental shop for kayaks, canoes, stand-up paddleboards and snow gear in the winter. A provision shop will sell groceries and beer for cabin necessities, and the new menu at the Boathouse restaurant will make it a destination for daytrippers in itself. Guiding the menu is Joshua McFadden, executive chef of Ava Gene’s and co-owner of the just-opened Tusk restaurant in Portland. 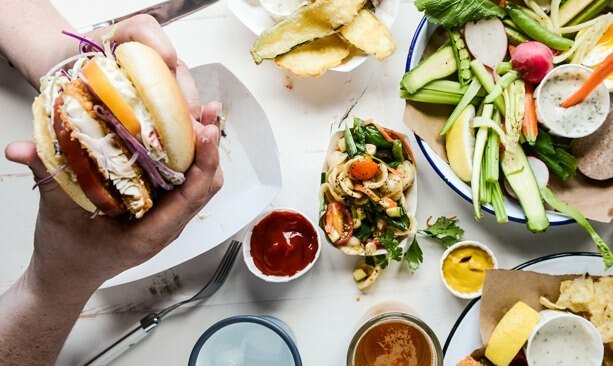 The Boathouse, a casual diner, overlooks the water with a menu of simple fresh-caught Oregon pub fare like fish and chips, salads and chowder with trout and salmon from the lake. It’ll be open in fall 2016 for breakfast, lunch and dinner, with a window to order food and drink to enjoy at the beer garden on the lawn outside. The grounds will also host arts-and-craft workshops and music events throughout the year; in the winter it’ll be a hot spot for skiers and snowboarders, just 10 minutes from Hoodoo Ski Area. Another Portland trendsetter — Sean Hoard, former bar manager at Teardrop Cocktail Lounge — will lead the craft cocktail program at the lodge’s new bar, called Skip (named for the local sculptor J. Chester “Skip” Armstrong, who carved the lodge doors). With a fireplace, board games and cushy armchairs, it’s a perfect spot to curl up with a whiskey drink on a lazy afternoon. 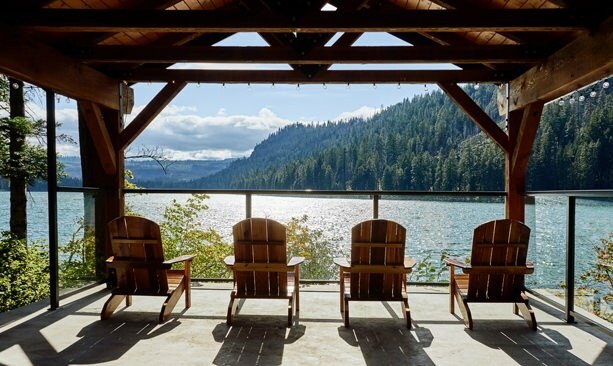 The first set of renovated accommodations — 11 four-person lodge rooms, all family-friendly — opened in August, with rates starting at $275 per night. 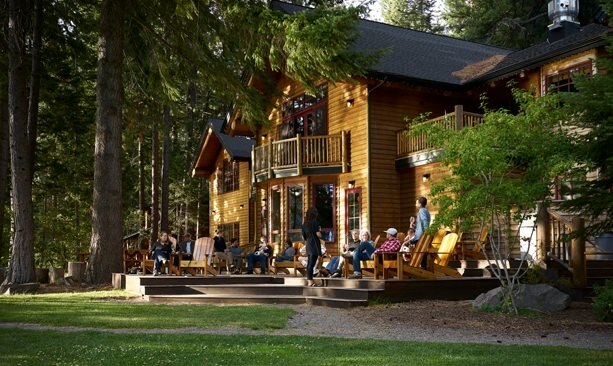 Dog-friendly cabins are also available, both lakeside and creekside, with room for two to eight people, with rates ranging from $125 to $500 per night. On Sept. 24, 2016, the lodge will host a traditional Native American salmon bake with the Tribe of Warm Springs and side dishes by the Boathouse. Check the lodge website for ticket information.